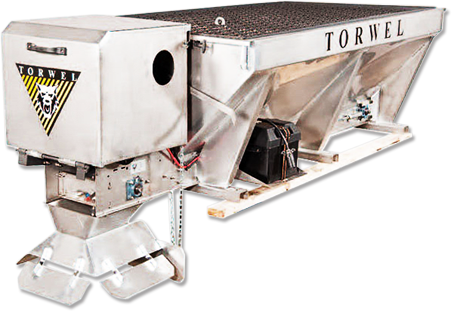 Since 1946, Torwel has engineered and manufactured the finest sand and salt spreaders in the Northeast. Accepting nothing less than the best is what guides you in your business and is what we use as a benchmark for designing and building our new professional and commercial series spreaders. We are pleased to announced the completion of Torwel’s business restructuring and return to full operation and sales as Torwel Ltd, now with its headquarters located in Whitman, Massachusetts. 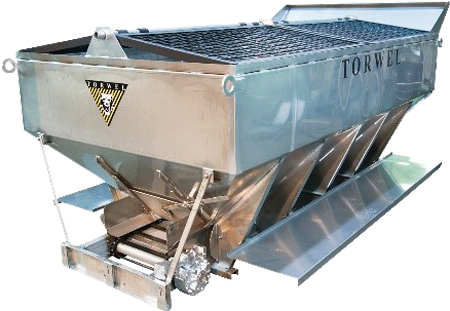 The Torwel brand has maintained a dominant market presence throughout the NorthEast since its founding in 1946, renowned for its line of heavy duty spreaders, pickup truck spreaders (including the widely popular Economizer line) and snow pushers. 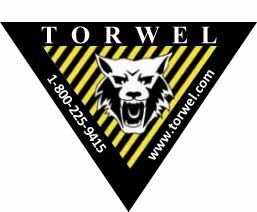 More than 10,000 Torwel units have been sold, all proudly manufactured in the USA. We have certainly put the double engine electric sander to use and wished we had it years ago. We thought it fitting to tell you that you have a happy camper here in Jefferson, New Hampshire. Thank you for your kindness and help. John & Peggy Silver | Jefferson, New Hampshire, USA.